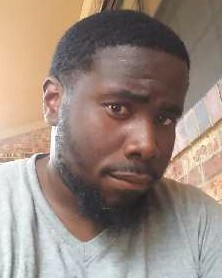 David Deshun Cooper is survived by his mother, Barbara Patman; father, David Lee Cooper, Jr.; siblings, Kadrica Yearby, Akii Cooper and Kiresa Cooper, Tysean Davis, Wendy Cooper, Tracy Cooper and Brandon Flint; maternal aunts, Carolyn Martin, Brenda Patman, Elisha & Wanda Patman-Evans; uncle, Samuel Patman; paternal aunts, Johnnie Mae Cunningham, Laverne Lane, Surrender Carruth, Louise Cooper, Emily Patman, Rebecca Collins, Deane Cooper and Ruby Cooper; nieces, nephews and cousins. He was preceded in death by his natural grandparents, Martha Clarke and Eugene Patman; great-grandparents, Lois Martin and Jesse & Claudia Patman; paternal grandparents, David & Ruby Cooper; aunt, Tonya Thomas; uncle, Eugene Patman, Jr.
“Deshun” or “Big Koop” as he was lovingly called by his family & close friends, knew him to be a charismatic young man. He was an affectionate and fun-loving uncle to his niece and nephews. David could always make you smile. David was a 2011 graduate of Clarke Central High School. By being the youngest child and graduating from high school, he fulfilled his mama’s dream of all her children receiving a high school diploma. David had a vivaciousness for life and made friends easily, which he did not have a problem welcoming into his home. When he sat his sights on anything, he was determined to accomplish his goal. David will be greatly missed, because to know him was to love him! Although David is gone, he will never be forgotten because his spirit will continue to live on in our hearts!